One of the features that many people thought No Man’s Sky was going to launch with, cooperative multiplayer, has now been implemented, at least to some extent, thanks to the game’s recent Atlas Rises 1.3 update. It doesn’t operate the way multiplayer works in most games, but the feature is there, and it’s joined by a number of other big changes to the game’s story, the introduction of fast-travel portals, and a whole lot more. No Man’s Sky launched just over a year ago and Hello Games had big plans for the game’s first anniversary. 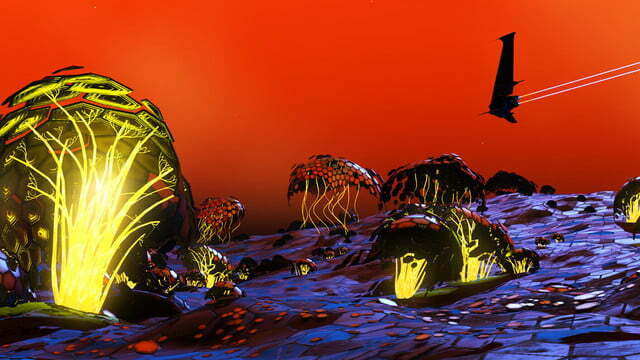 Atlas Rises is that plan in action and it is looking to add a lot of things to the game that have been requested for some time. The introduction of multiplayer is a big aspect of that, but this update goes way beyond a few glowing orbs. That is exactly what the cooperative multiplayer of Atlas Rises is though. You won’t be able to directly interact with your fellow players, but you can see where they are in their game thanks to a floating orb. There are no player models, no physics, and no ragdolls, but you do know that they are there. Like digital space ghosts from another dimension. Sixteen players can explore together in a shared space. You can talk to each other using proximity-based voice chat, too, though that’s about the extent of your cooperative abilities right now. 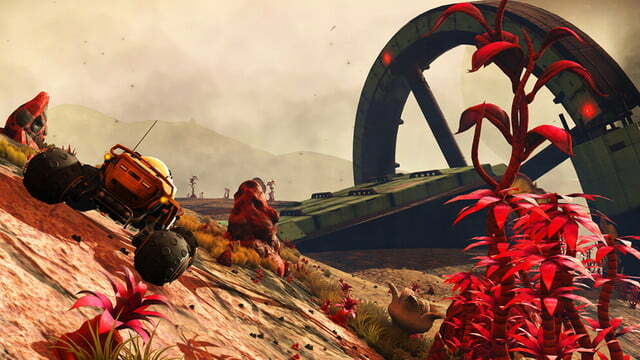 Hello Games’ claims that this is just the first step on its drive towards synchronous cooperative play in No Man’s Sky. Traversing the game’s near-infinite universe can take a while, so the introduction of quick-travel portals in a few key locations should ease some of the tedium of flying from planet to planet. You can now do so in new ships, too, with the introduction of new S Class ships. Wealthier systems now tend to have higher-class ships to acquire as well (thanks Kotaku). Whichever ship you pilot, though, you can now summon it straight to you anywhere on a planet, making travel that bit more convenient, and on-foot exploration less of a chore. You can always use that ship to explore in-atmosphere now though, thanks to the introduction of new low-flight controls. That should make in-atmosphere dog fights far more common. If you get into a scrap in space, things should now be a little different. New AI routines make it a much more challenging experience and ship maneuverability has been improved to make for more engaging battles. There’s even a new terrain-editing tool, which lets you craft exciting “natural” structures from the very elements. Build a new eco-lodge in style, rather than relying on man-made materials. Other additions to the game which should improve the overall experience include the addition of new crashed freighters to explore, and a new mission system that will make for new challenges and gameplay experiences. There is also improved trading across the galaxy with a new economic and crafting system, a new analysis visor offering additional rewards for scanning, and depth-of-field options to improve the game’s look in specific scenarios. On top of all of that, there’s a new story to play through, with the very fabric of existence beginning to falter and an interdimensional race offering new opportunities for diplomacy and combat. All of this has been teased in various ways by Hello Games over the the last two months, engaging fans in an alternate reality game. A total of 250,000 players spread across 174 countries came together to attempt to work out what was going on, according to correspondence from the game’s director, Sean Murray, that was shared via the game’s website. This eccentric ARG was called Waking Titan, and it wove an engaging sci-fi story featuring a swathe of audio cassettes and a lovable hamster, as detailed in a report by PCGamesN. It was weird, it was fun, and it has the potential to re-energize the No Man’s Sky community after so many players were disappointed with the game when it launched last year. Hello Games promised a great deal while No Man’s Sky was in development, and most would agree that the experience didn’t quite live up to expectations, but the team has worked diligently over the last twelve months to produce a series of free updates. All going well, Atlas Rises should be a triumph for Hello Games and a treat for fans of the game. The developer deserves a lot of credit for sticking with No Man’s Sky in an attempt to deliver what players were hoping for, instead of simply moving on to a new project and writing it off as a decent attempt. 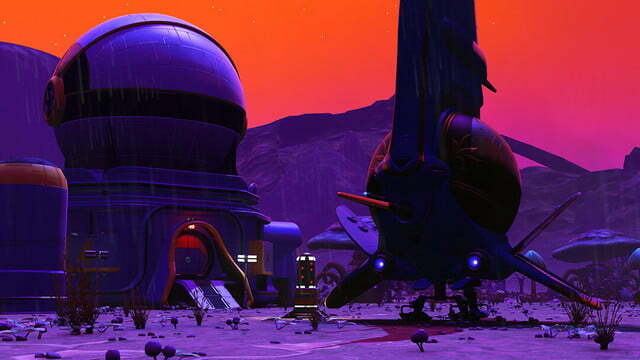 The Atlas Rises 1.3 update for No Man’s Sky is now available for all. If this update doesn’t have you excited, but you still like the idea of an open-universe exploration game, check out some of these other games which might be what you’re looking for. Update: Added a breakdown of Atlas Rises features.